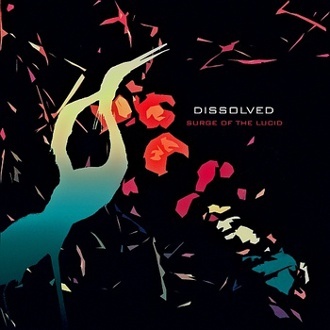 Like a soundtrack for a dystopian future, the output of Dissolved could be defined as a synonym for “nightmarish”. Make no mistake, it’s not nightmarish in the unlistenable sense but in terms of evoking tension, fear, doom and paranoia, it ticks all the boxes. At its most elementary level, ‘Surge Of The Lucid’ is instrumental music with voice samples but the press release’s promise of “Grainy particulate beats have been pressure fused with immense elegant synths” is as accurate as it is elaborate. With its peculiar, alien-like melody ‘Selmentrasm’ begins like an out-take from a Boards Of Canada album but the heavy beats are beamed from a different world altogether. ‘Forgotten Processes’ could be viewed as the anti-Enigma, where portentous, disembodied vocals cascade around a hypnotic maelstrom of breakbeats and drum and bass. Even in its most subdued form, ‘Machinery In Seawater’ simmers with an unmistakeable quiet threat but despite all this unease there’s never a sense ears are being assaulted here, merely warned that something rather nasty is about to happen. The final word, though, is saved for the fifteen minute epic ‘On Board The Deuterium Arc’ which is reminiscent of the insistent but similarly intoxicating ending to Orbitals’ ‘Snivilisation’ album. ‘Surge Of The Lucid’ is one of the more demanding electronica albums one is likely to hear this year and an hour’s exposure to this kind of music is asking a lot of the listener. However, whereas some lengthy, song-less albums enter a lull, the tracks here keep you on edge of your seat; eagerly awaiting the next exciting instalment. It’s exhausting but rewarding. This is even more impressive considering this is apparently the fiftieth release from Dissolved and its creator never looks in danger of running out of ideas.